Homepage for Author Mark Carver: BEAST IS DONE! After nine months of writing, plus a few more for research and planning, I am pleased to announce that the manuscript for Beast is complete! It will be released this summer by new press The Crossover Alliance. This book was certainly the most challenging I've written, since the subject matter was way out of my realm of knowledge and experience. 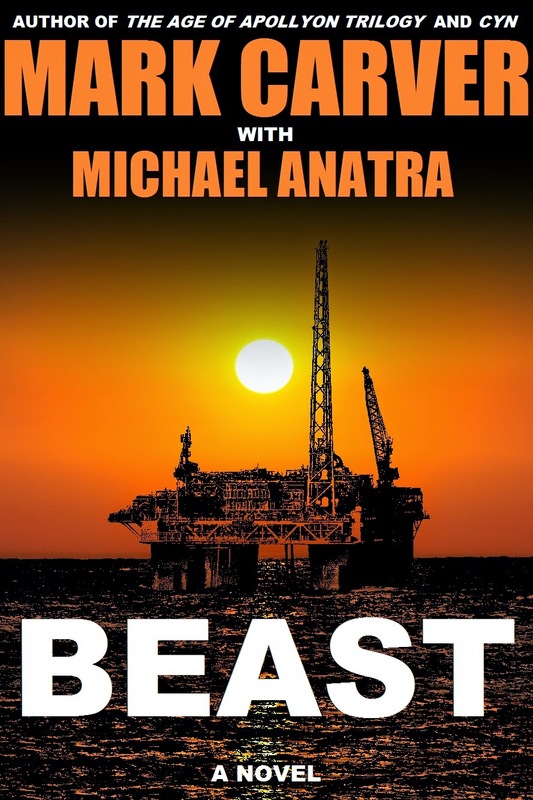 I couldn't have done it without my co-author, Michael Anatra. I've never even met the guy or spoken with him but we've written a book together :-). Beast is my sixth novel, which means after three and a half years, I have completed 20% of my goal of writing thirty novels. I'm hoping I can reach this milestone by the time I'm fifty years old, so I can plan my mid-life crisis accordingly :-P. But in the meantime, I'm just enjoying the feeling of not having the shadow of an unfinished book looming over me. At least until I start writing Nikolai the Penitent, which will commence at the end of this month. No peace for the restless imagination.